AT6 Architecture : Design Build embraces the practice of architecture as both developing a product and providing a service. The end product is important to us, but equally so is how we get there. Custom design architects specializing in new construction, remodels, and additions throughout the Bay Area and beyond. "Gigi" Lorick of Lorick Design in Montclair has been providing home owners with top quality Design and Construction work in the Oakland and San Francisco bay area since '93. She has completed over 700 projects, renovations/ remodels and new construction projects in the past 24 years of being in business. Her firm is a design and build firm, design, engineering and construction. If you have any remodeling work that needs attention, call today to take care of your job! Originally from Southern California, Gigi began her career as a Scenic Designer and Art Director and Production Designer for many studios including Paramount, Disney , Universal, Lion's Gate, Sony and MGM. She was a proud member of Local 729 Motion Picture Union. After 12 years and working with a team which won Academy Award for Art Direction., she became disillusioned. She wanted to build beautiful structures that were not torn apart months later. Her designs are creative, visually pleasing, and financially affordable. Come in and talk to her today she has an eye for detail and comes up with very creative ideas for every budget. A three-generation family business delivering the combined services of architecture and construction. It is with a love for design and a joy of building that we approach our projects. 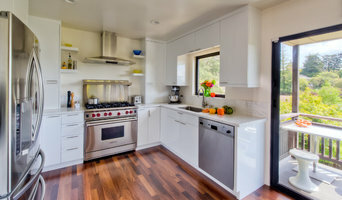 HDR Remodeling, a Berkeley Ca based, award winning, Design + Build professional remodeling company providing superior residential design and remodeling services. At Etna Remodeling, we work all over Northern California to help you build out the home of your dreams. 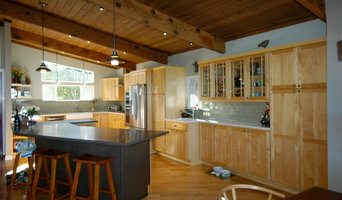 We work on home remodels, kitchen remodels, and additions to transform your home. With over 20 years of experience and licenses, bonds and insurance, we are contractors you can trust. We specialize in all types of residential, commercial and Industrial interior & exterior remodeling. We work hard to meet all challenges of a dynamic and complex industry. We are able to provide our clients with a realized dream that will last well into the future. California Construction Bay Area was founded many years ago in the state of California under the core values of integrity, professionalism, & responsibility. Douglah Designs is a full service interior design-build firm with expertise in kitchens, baths, and other major interior remodel projects. They design for your style and function needs. Since 1930, J.B. Turner & Sons has specialized in kitchens, bathrooms, semi-custom and custom cabinetry. Listening to your ideas and shaping your vision, our experienced designers and craftsmen are able to create rooms that express your sense of style while enhancing the use of space. MacLeod Design & Construction is a full service residential design-build firm, specializing in environmentally sustainable and energy efficient buildings with renewable and recycled materials. Our designs are creative, visually pleasing, and financially affordable. Come in and talk with Gigi today - she has an eye for detail and comes up with very creative ideas for every budget. It takes a team of dedicated design, construction and installation professionals to deliver custom home projects and remodels that perfectly fit with the needs and wishes of a client’s vision. That fully integrated team is Xcede Construction — and that team includes you, the client. Whether you have a large-scale, whole-home reconstruction, New build or a single-space makeover, Xcede is committed to delivering your project to your satisfaction. That’s why at Xcede, communication is key. “My team and I are experts at listening, asking questions and understanding your goals and dreams,” says owner Bill Fairchild. “We have the creative solutions to tailor your home’s design specifically for you.” This full-service design + Build team has been delivering custom home projects for more than 10 years. And in those 10+ years they have developed a broad base of loyal clients who continue to refer family and friends. A proud businessman once said, “A great referral is the best evidence of a job well done.” With that in mind, it’s valuable to know that 75% of the projects that Xcede creates are due to great referrals. With the expert knowledge this design/build company has gained within 10+ years of business, you’ll have a stress-free experience. Xcede will coordinate construction crews and interface with subcontractors. They’ll handle all the details, big and small. They’ll balance creativity with cost considerations, and deliver your project on time and on budget. “Our expert designers & partners, proven planning and construction processes always deliver amazing results that our clients are proud of,” Bill says. Xcede's Guiding principle is Craftsmanship and Quality when it comes to construction. We have over 8 full time craftsmen and journeymen carpenters to ensure you project finishes with the highest level of quality. We love helping customers ideas become reality. It is very satisfying to see ideas turn into beautiful living spaces and structures. Douglah Designs has 20 years of experience providing the finest craftsmanship, quality and design available. From initial design concepts through construction, we assume responsibility for the entire project and manage every detail including budgeting, scheduling, ordering products and obtaining permits. Our concierge, full- service approach to remodeling gives our clients peace of mind as their vision is brought to life. FF+ is an Oakland based construction company, specializing in healthy, modern and energy efficient structures and spaces. Our passion for architecture is rooted in an understanding that form shall be an expression of the function it serves. We always strive to work closely with owners, architects and subcontractors to develop and build projects of exceptional quality and beauty. Design Build Contractor/Developer established in 1983. All projects personally designed and supervised by principal with unparalleled installation experience in all major trades. At EverLast Construction, we are committed to the success of our clients by providing electronic design services of the highest quality using a set of time proven processes and design disciplines. Rooted in the practicalities of construction, our dynamic design process has grown into a practice that emphasizes economy, creativity and excellence in both design and finished construction. Design-build firms take on the responsibilities of architects, contractors and construction companies, all under one roof. These full-service firms focus on a streamlined design-build process — from the initial design to the estimating phase to physical construction — in the hope of creating an efficient experience for both the client and the company. Because the entire project is happening within one company, Oakland design-build firms are able to overlap the design and construction phases of the project, which often speeds up the project significantly. In addition, these firms work to minimize risks for the project owner through single-point responsibility contracts. However, depending on the firm, you may still want to contact an interior designer or architect to help create the exact look you want. Here are some related professionals and vendors to complement the work of design-build firms: Interior Designers & Decorators, Landscape Architects & Landscape Designers, Architects & Building Designers, Photographers. Before deciding on a residential design-and-build company in Oakland, CA, think about what you want from your new home. Do you want a large kitchen for entertaining? Do you need several bedrooms for children and guests? Do you want a finished basement for extra space or storage? 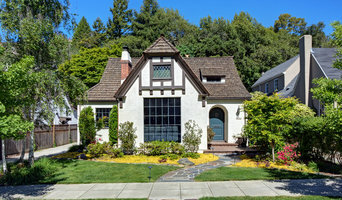 Look for Oakland design-builders that specialize in the areas you're looking for. Budget is obviously a determining factor in the outcome of your project. To make sure you stay within your means, consider making a must-have list and a wish list. Gauge where the estimates are falling to determine which design-build contract can realistically strike the balance between the two. Find an Oakland design-build company on Houzz. Narrow your search in the Professionals section of the website to design-build firms in Oakland, CA. You may also look through Oakland, CA photos to find a pool you like, then contact the design-build firm that created it.